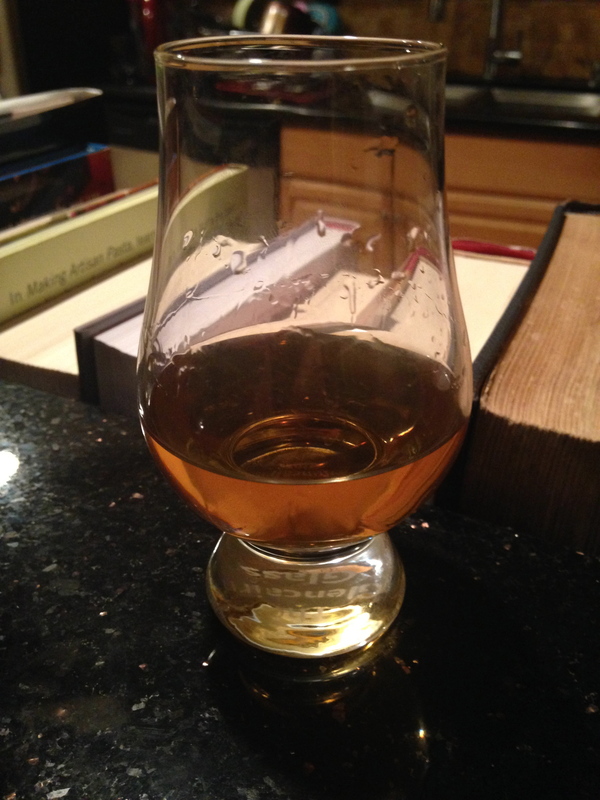 It’s late, cold and I’m drinking Jefferson’s Kentucky Bourbon Very Small Batch. Much spice and vanilla on the nose with citrus notes everywhere–green apples and rum in there as well. Taste? Very clean, refreshing, slightly sour with red-hot candy, anise, a bit of lemon, bit of grass, and cookie dough. A roll of nectar in the mouth, head tilts back, eyes close and the mind wanders to the past. In this case, Flannery O’Connor’s insightful diagnosis of memory in her classic short story A Good Man Is Hard To Find. Over the years, I’ve read and re-read this story, assigned it in various classes, and discussed with students its many aspects of the absurd, grotesque and violent. The story also contemplates our relationship to memories and what might happen when the past shapes the present. The following scene occurs halfway through the tale, and marks a turning point toward death. But for now, an old grandmother remembers. So much here. From sleeping into dreaming into a recovery of what was lost; and then into deception through a promised secret, which of course memory serves as . . . secret and door. The “old plantation” haunts many a Southern character and many a Southern tale, and here along with the aesthetic properties of “white columns” and an “avenue of oaks” the ghost-like plantation appears to offer an innocence with its “two little wooden trellis arbors” where “your suitor” may call. But the reader knows what is hidden, the reader knows the slave shacks exist, the bit and chain exist, the burning and lynching. Then, “Sherman” appears, the great devil of Union aggression setting fire to the South. The boogey-man takes the stage. But first, I need to start my grits. As I stated in my last post, Chef Sean Brock serves as Virgil to my wandering through the South, and today he’s taking me to the promised land of grits. He’s very particular about how he prepares this staple of Southern cuisine. 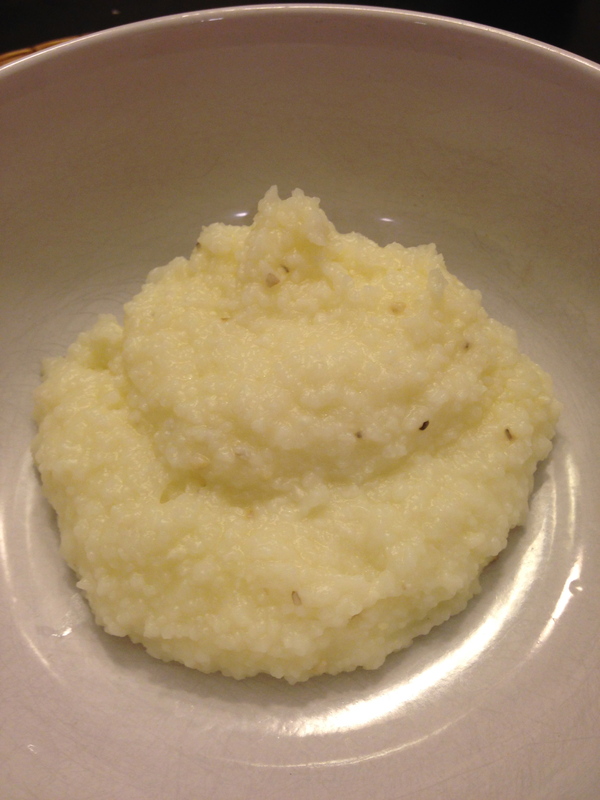 Grits have played an important part in the history of the South because corn was a crop that could be grown easily in the region and dried and stored for winter consumption. 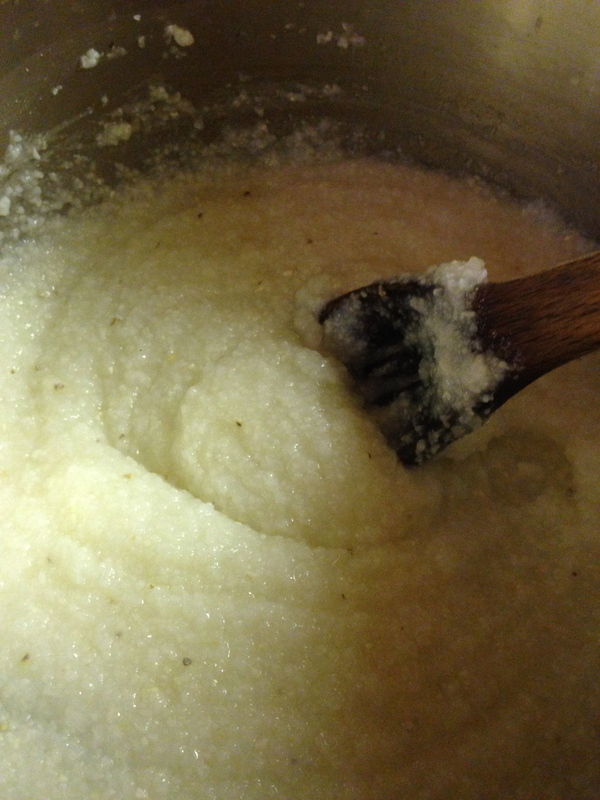 A bowl of grits can tell the story of a region, a family or a time period. 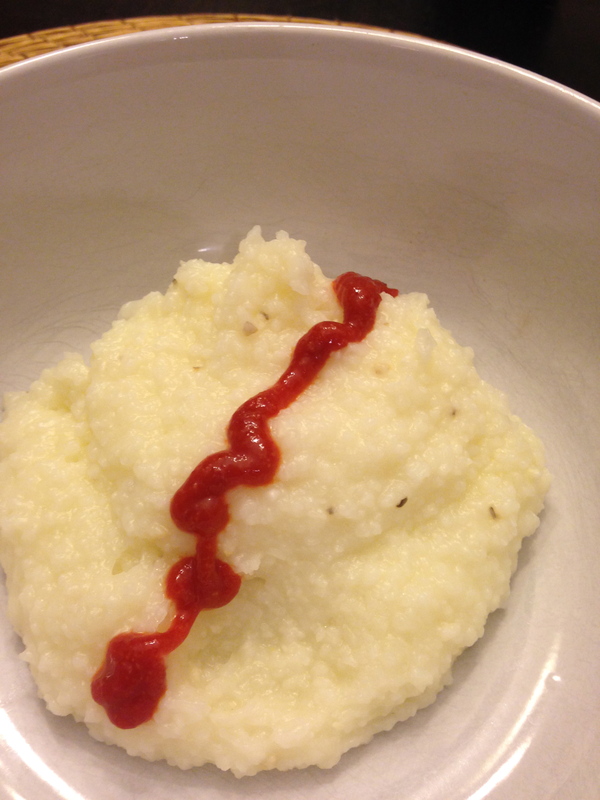 (74) Brock advises using Anson Mills grits, but I need to order those as they are not carried locally, so I’ve turned to Bob’s Red Mill Southern-Style White Corn Grits. The corn flew here from California, but it is coarsely-ground so I’m adhering to part of Brock’s words of wisdom. 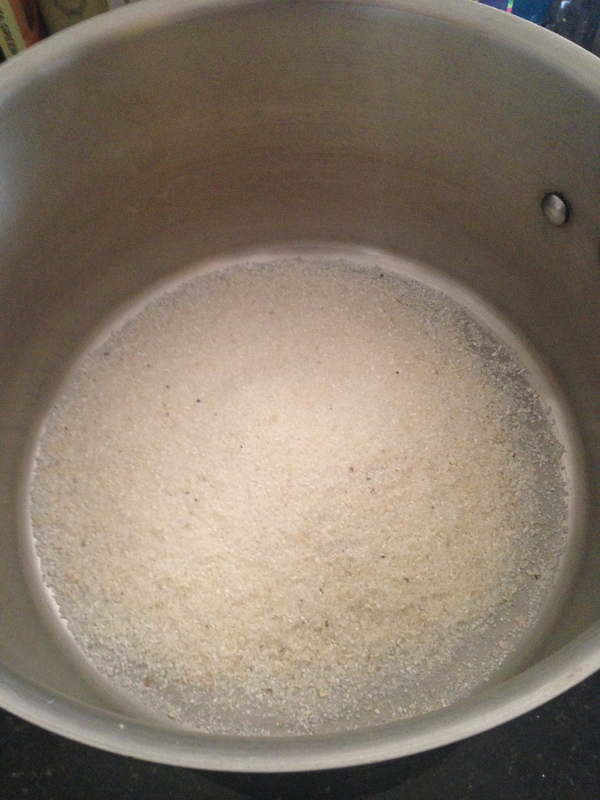 Following Virgil’s directions, I’ve set the grits in a pot and I’m about to soak them for six hours. Time for another dram of Jefferson’s and back to O’Connor. Memory brings a thought, the thought threatens the grandmother’s view of the world and herself; while, the external world–the cat–notices this internal shift, and springs . . . violence ensues. A car accident. A whirling through air and a crash. Death breathes very close. How are my grits? 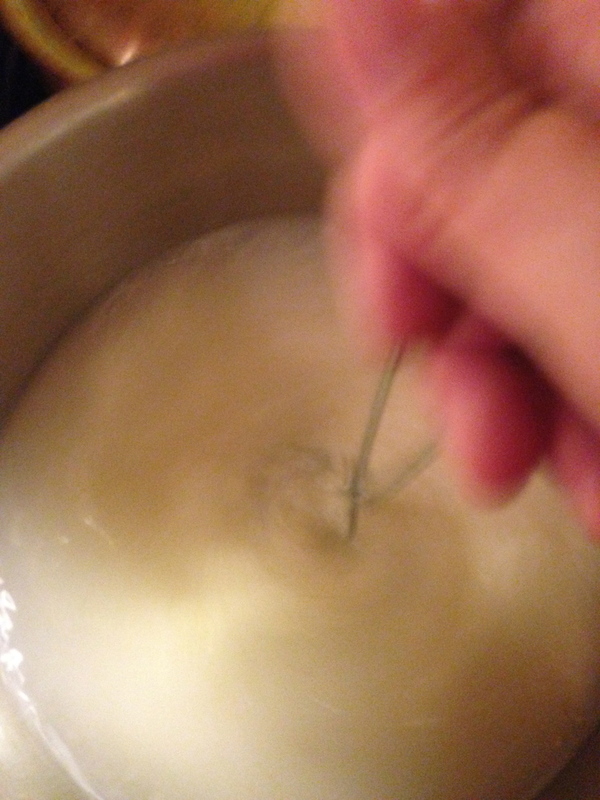 I skim off the hulls and chaff floating on the surface, then put the pot on the stove, turn the heat on high, and whisk the devil out of the grits until the water begins to boil and all looks so creamy. I remove the pot from heat for ten minutes, and then it begins. As Sean Brock writes, After about ten minutes, take the lid off the grits, put them over low heat, and add couple of fresh bay leaves. Cook the grits for about an hour, stirring frequently. Taste the grits, every 15 minutes or so. 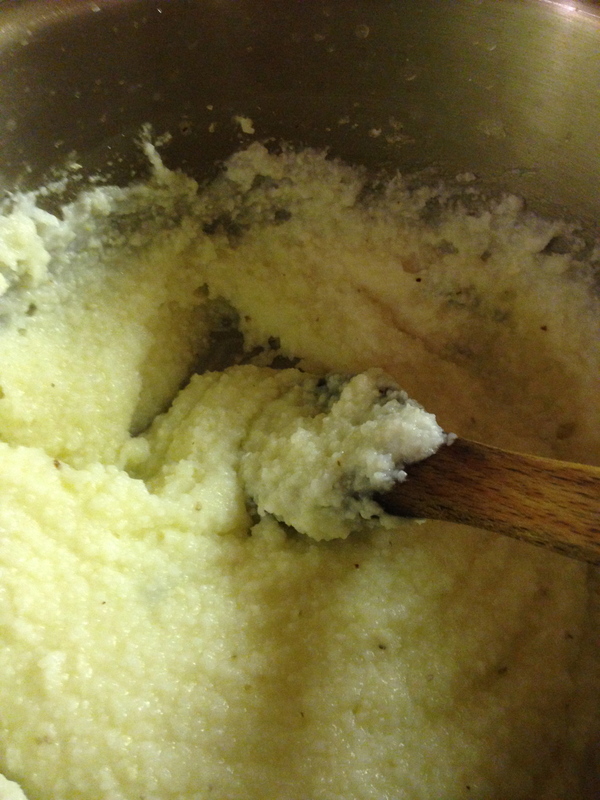 After an hour, you’ll feel a textual change, and the grits will be very soft and tender. (75) Unfortunately, I did not check my supply of fresh bay leaves, and I’m out; however, I do have a sage plant out in the garden, so those wonderful leaves will save my grits. The stirring begins–a good time to return to O’Connor. Misplaced memory haunts the mind. She saw a phantom and believed it real like those denizens of Plato’s cave who take shadows for life. O’Connor’s grotesque fashioning pairs an injured organ with bright blue parrots and a humorous quip not to reveal the plantation is in Tennessee. The misplaced memory humbles our mind’s attempt to rule the world, to name it with conviction, to arrange items and people just how we wish. The haunted South includes our mistakes which will claim everything we have. Meanwhile, my arm’s held up and the grits have a lovely smooth, creamy texture and taste. Next step . . . . I add salt, butter and lemon juice. Now it’s time to serve. With pepper. Gabriela and Demian bless my honing of the grits and soon the pot is empty. The taste of corn, butter and salt amazes and I’m a convert. As for O’Connor’s grandmother, she’s in for more revelations before the story ends; a misplaced memory affords an opportunity to reach out and claim things of darkness, much like Prospero with Caliban. 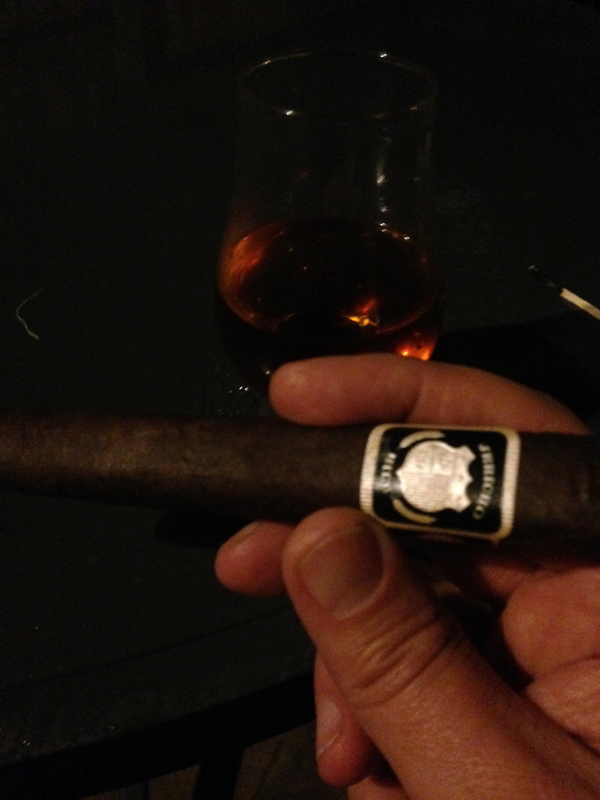 Bourbon and A Good Man is Hard To Find have brought together Kentucky and Tennessee, certainly a reason to celebrate; which I do, with a Jericho Hill Cigar and the last of the Jefferson’s listening to the Wailin’ Jennys. Bon Appétit! I love that you found yourself in grits. 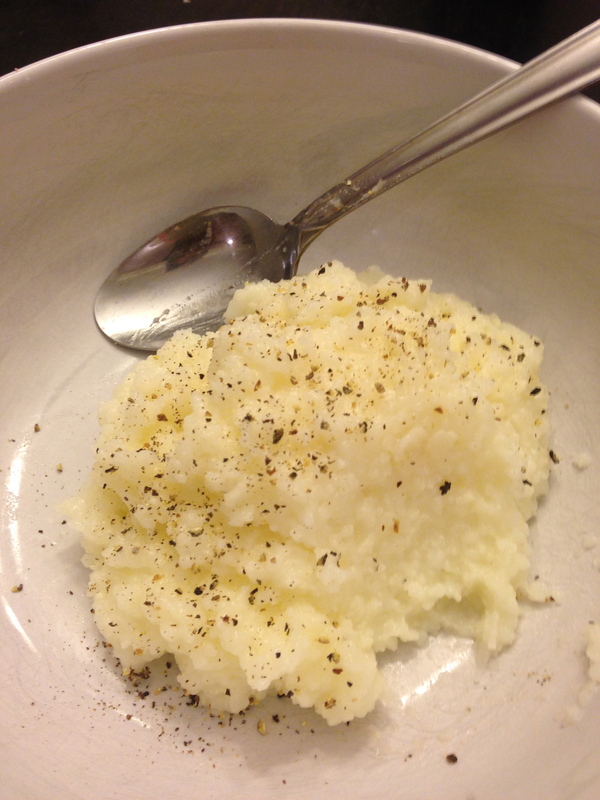 There’s something simple yet luxurious about grits, and I am long overdue for making some. Thank you for transporting me out of my workaday afternoon and into your smokey, whiskeyed night. Interesting read…I guess now I have to go find the book! And your grits look good too!